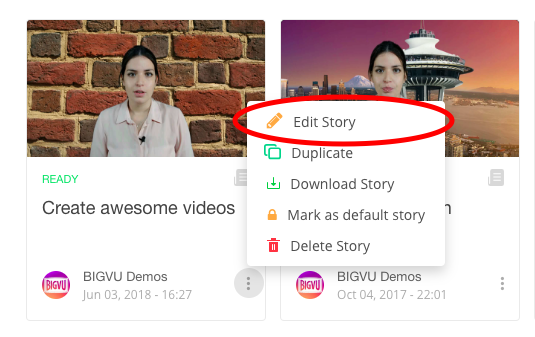 From the main screen, click the three dots and select edit story. 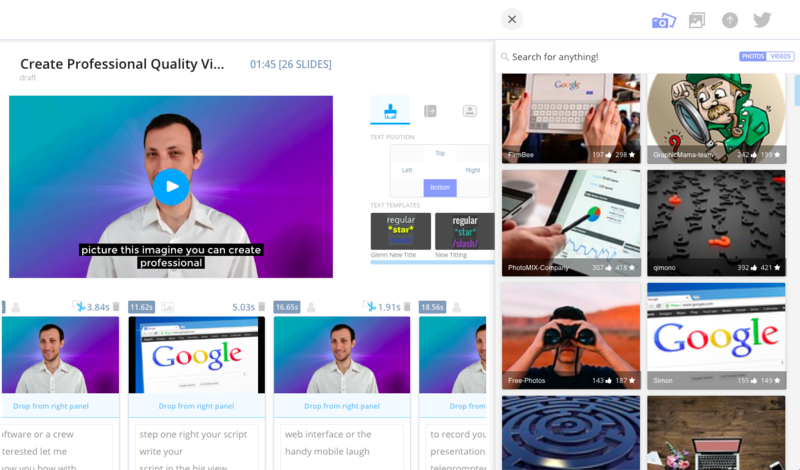 In the new window, click the three dots on the thumbnail of the desired take and select add captions. 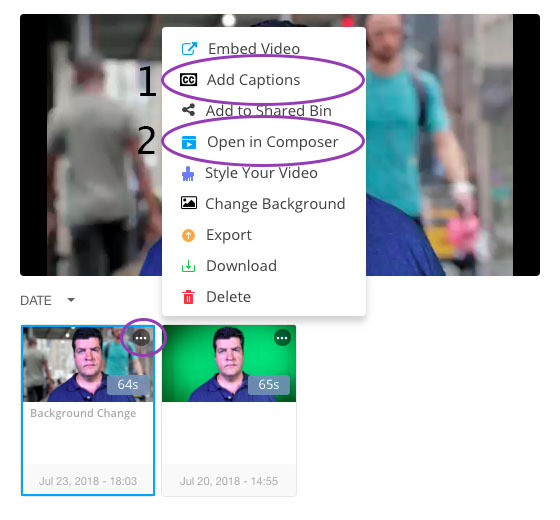 This will automatically add closed captions to your video. It will also segment your video into logical scenes based on points of interest within your recording. Now click the three dots on the thumbnail again, and select "Open in Composer". 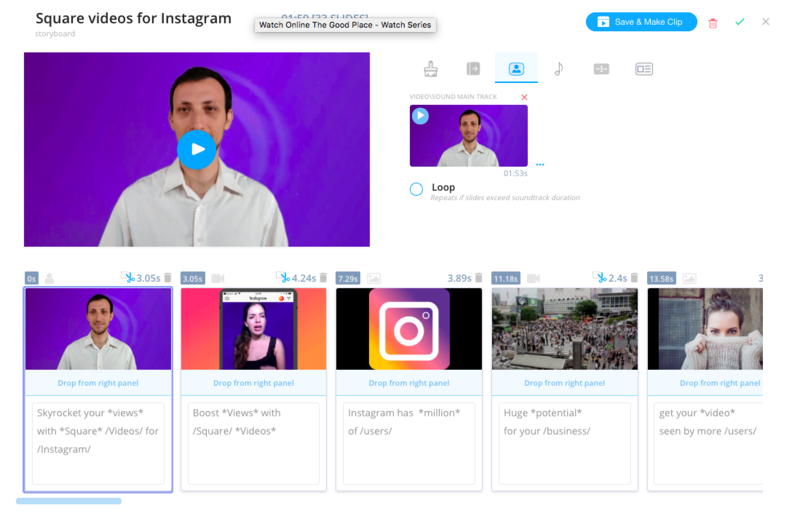 You will see your video split into logical scenes on your storyboard. It is now ready for you to drag and drop photos, images or tweets to individual scene cards from the right panel. Desk Library - Shared images and videos for your use. 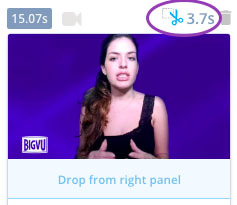 Uploads - Images and videos that you have uploaded to the BIGVU desk. 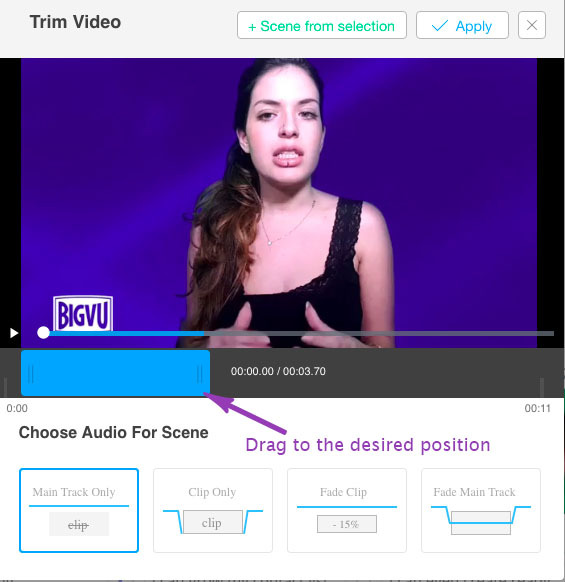 If you need to, you can adjust the duration of each scene by clicking on the small scissors and using the trimmer popup.